One of the easiest jobs for a felon to get is a package delivery driver. While there are many companies to consider applying with, a great one is Amazon – and their delivery driver program is called Amazon Flex. Being a independent driver for Amazon Flex is one of the hottest jobs now in the on – demand delivery economy, and it has numerous perks. Lets explore how much a delivery driver gets payed, job requirements and challenges. 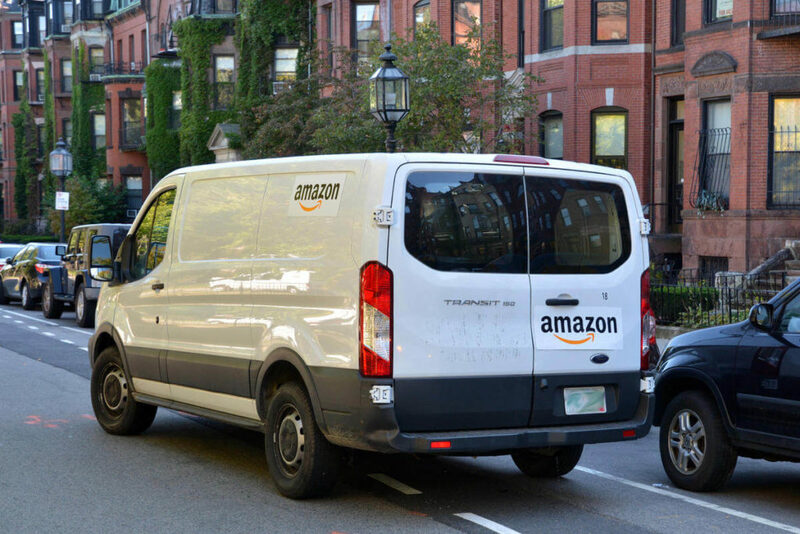 If you have ever seen someone in regular clothes, driving a regular car without company logo deliver an Amazon package – this person was working as an independent driver for Amazon Flex. This is a new service offered by Amazon, where the company hires independent drivers on a flexible schedule to deliver packages locally, using their personal vehicle. All deliveries are scheduled and completed using a special Amazon Flex app, which can be downloaded for both Apple and Android. Prime Now and AmazonFresh – you pick up groceries and household items from a delivery center and bring the orders to customers. Instant Offers (only available in some cities) – on the spot deliveries that take place near your current location. Get started and fill out a job application here. Its best to open this link from a mobile device! How much do Amazon delivery drivers make? High earnings is the biggest perk of this delivery job. Amazon pays its drivers $18-25 per hour depending on location. This is significantly more than you typically earn driving for Uber or Lyft. On the app, you see what deliveries need to be done. A delivery shift is called a “block” and you get to see your total earnings for completing the delivery as well as an estimate of how long this should take you. The good news is if you complete the delivery faster, you still earn the amount specified for this order. Don’t forget the earnings you make are before taxes, and also before gas is accounted for. Spending money on gas to make the deliveries can take a significant chunk away from your earnings. However, there are many tips and tricks you can learn on the job, in order to make everything run more quickly and efficiently. Ultimately, this will leave more money in your pocket. Unfortunately, you can not use just any car to be a delivery driver. It has to be a 4-door sedan, a minivan, or a pick up truck. A two-door vehicle cannot be used, because its not big enough to fit all the packages you may need to deliver. Keep in mind also, that some packages may be large in size, so the more empty room your car has, the better. The good news is that Amazon does not have any requirements for the age of the vehicle, and you are also not required to pass an inspection prior to starting the job. However, if you have an unreliable car and start to miss deliveries because of this issue, Amazon will deactivate you. However, you are still required to have personal car insurance. If someone else was driving your car and delivering packages for you, and an accident occurs, your claim will be denied!!! Due to local regulations, delivery drivers in the state of New York are required to purchase their own commercial insurance. Increased demand = higher earnings: during the holidays and other times of increased demand many drivers see their rates go up to as much as $25 per hour. Long driving history is not required – this is a huge benefit, if you are a new driver who just recently got their license. Unlike most companies, which ask drivers to have at least 1 year of driving history, Amazon does not have this requirement. Be your own boss: you can work as much as 7 days a week. 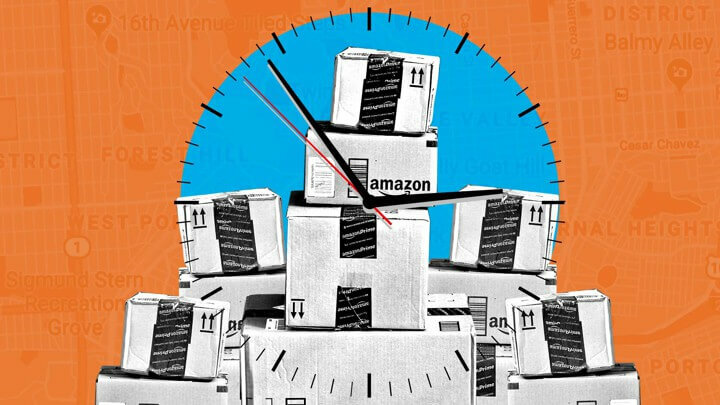 Either schedule all your deliveries ahead of time, or pick them up whenever you have a free block of time. Great supplemental income: you can do this in addition to another job, while you are looking for a full time job, or going to school for an advanced degree. You will not be required to do a interview or submit a resume. This is one of the biggest stumbling blocks for many felons, and turns into a rejection from a job. Here, you fill out the application via the app, provide personal information and the company will simply run a background check. You will be notified via the app whether or not you passed. Limited interaction with customers: for many, and especially people with felony convictions, this can be a huge benefit. You don’t need to spend energy on pleasing customers, talking to them, etc. Fun and adventure: you don’t know where you will be delivering your packages, so every order is a small adventure. You get to drive to different locations, see beautiful homes, go to new neighborhoods, etc. Some drivers even report making deliveries to famous people. As with any type of job, being a Flex driver also has its downsides. Here are the big ones to keep in mind, when you are deciding if you want to give this job a shot. Limited job availability: unfortunately because Amazon Flex is so new, its only available in select locations. So when you apply for the job through the app, you will be able to see if its available in your city. If its not, you are encouraged to get on the waiting list. Once that location opens up, you will be notified and can proceed with the application. There is a learning curve: while the job seems pretty straight forward at first glance, there is still a lot of small details that you need to learn to do the job correctly and efficiently. Amazon provides many training videos that you will need to watch before you start delivering packages. Also, there are many videos on YouTube where experienced Flex Drivers share their tips on how to make the most out of this gig. Problems with the app: the Flex app is notorious for crashing at random and most inconvenient times. Often, you will not be able to deliver the package as a result of this malfunction. Usually, its easy to get the app up and running again, but this stresses many people out. Difficult delivery routes: occasionally you may need to make a delivery to a very rural location, or a place that has very little signs, lighting, poor roads, etc. Highly competitive: once you get hired, you may find that you are having a hard time getting a lot of blocks. This is because there is a lot of competition. Yes, Amazon does over-hire drivers! Sometimes, you may spend hours just looking for new blocks. What this means is that you cannot rely on this gig as a sole source of income, and need to have another job lined up. Wear and tear on your vehicle: you make a lot of deliveries, your car will experience a significant amount of wear and tear. So be prepared for this and make sure to take much better care of your car. This may include things like spending extra money on more frequent maintenance check ups. Company’s official policy is that they will not discriminate against someone with felony. The potential candidate needs to meet all the job requirements, and pass a background check. However, no interview or drug test is required, which is a huge bonus! For delivery jobs, you will also need to have a clean driving record. If your felony is connected with assault, robberies, car theft, etc, you will likely not be hired. Amazon, like most companies typically looks as far as 7 years back into your criminal history, so if your felony was earlier than that you have a better chance of getting the job. However, regardless of when your felony happened, you should still apply and make a full disclosure about your past in the application. Many people who have a felony have been successfully hired by Amazon, for various entry level positions, including delivery drivers. This means that you do have a chance at employment! What are the requirements to become a Flex driver? – Possess a qualifying vehicle (Honda Civic class or bigger – SUV/VAN preferred). Once all your information has been verified and you have passed the background check, you will receive an email from Amazon (via the app) stating that you can now start making deliveries. Keep in mind that a background check may take up to a week to complete. Once you get the hang of it, making deliveries for Amazon is really not hard. It sure is easier than many other jobs and there is a small chance of making a mistake and getting fired. However, there are some things for which Amazon will deactivate you and you will loose this job. Keep these in mind and steer clear of trouble! Nope. This is the specific Amazon job I applied for and they said no because of a larceny 25 years ago.